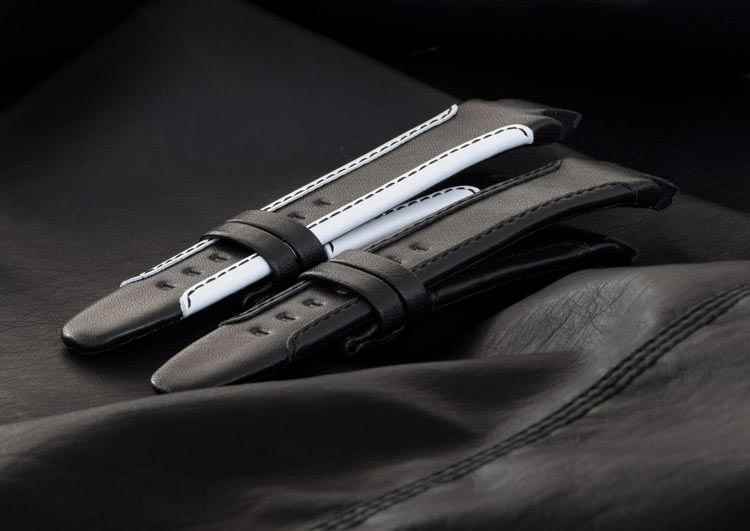 The Swiss made watches Wryst Elements are stunning fitted with the black Alcantara leather bracelets. 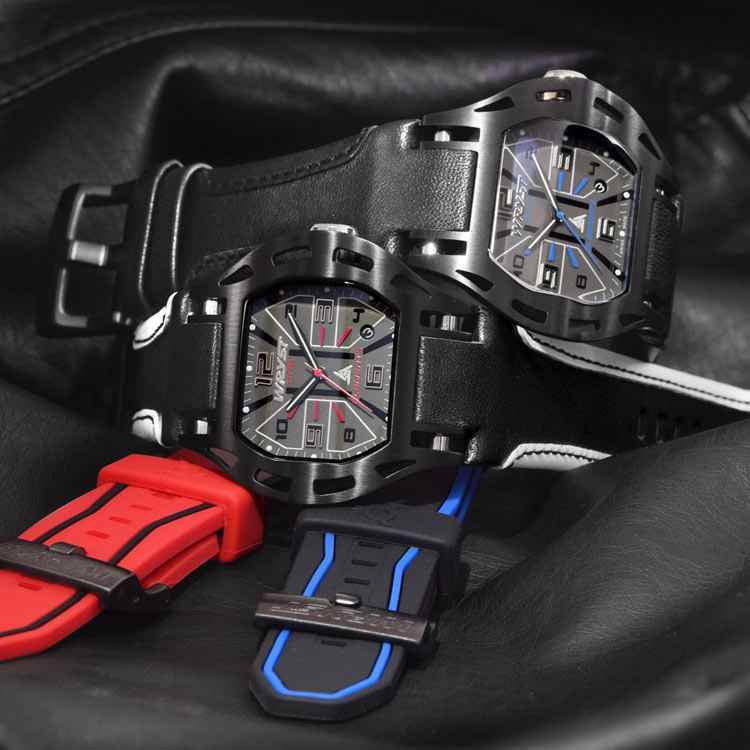 For a more luxurious and stylish look, choose a great option for your unique limited edition Swiss Made sports watch. You can choose one of the two different leather bracelets on offer. Either the all-black version or the black with white lining sides. Both are Alcantara leather materials. This highly resistant leather is used for high-end car leather seats and sports cars dashboards. 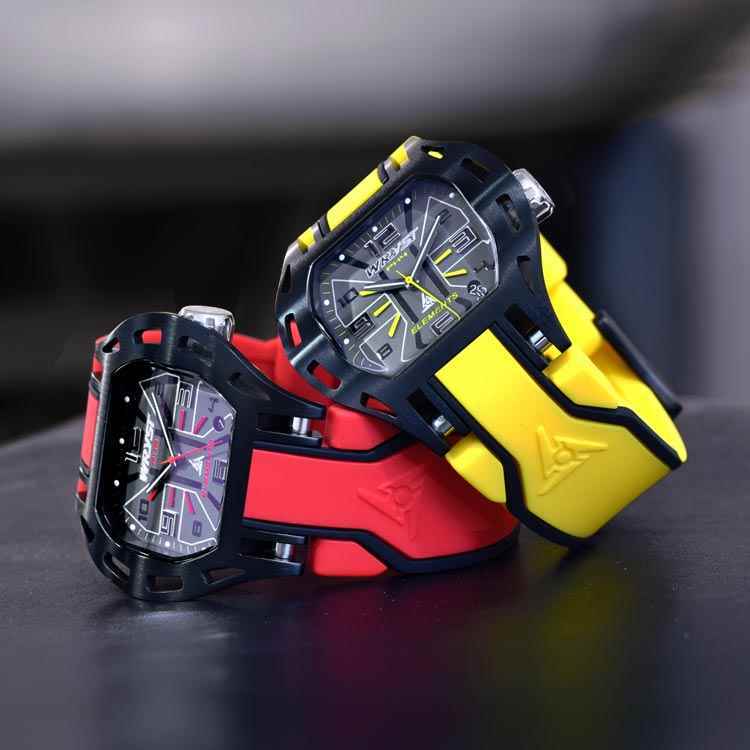 Originally designed for the motorsport-inspired Wryst Motors collection now discontinued, the two Wryst Swiss made watches leather bracelets are perfect for all references from the Wryst Elements collections. Unfortunately, at this time the black leather bracelet with grey lining is no longer available. All and any three hands and date timepiece from this collection is perfectly adaptable and a great match. 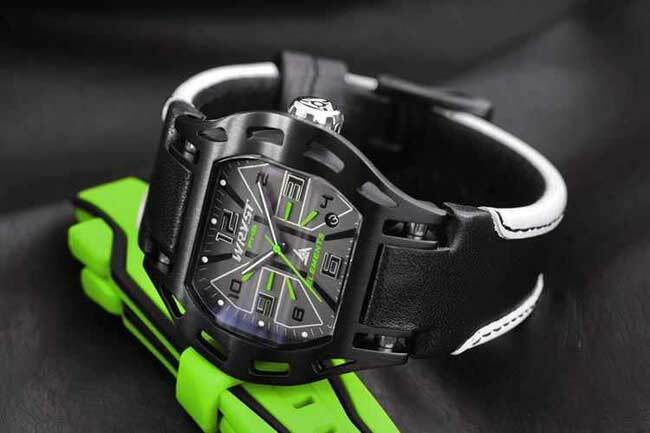 Four references in this sports watch collection are with black DLC casing and buckle. Another reference Wryst Elements PH8 with shiny polished finish is also looking suave with the leather bracelet. Note that this PH8 is soon to be discontinued as only 4 units are still available for this limited edition of 75 pieces in total. Soon, we will offer different alternatives for your luxury Swiss Made watches. 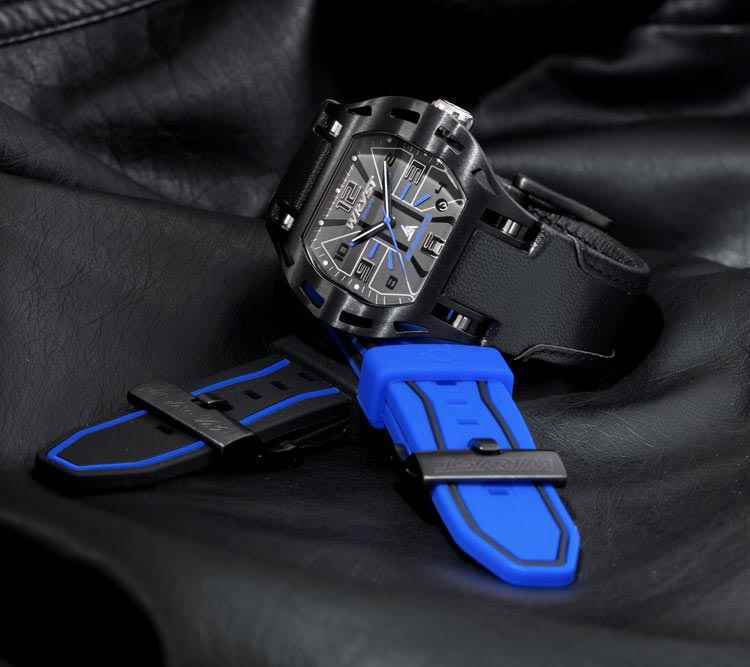 During the second quarter of 2019, we will regularly release new leather watch bracelets for the Wryst Ultimate, Wryst Force, Wryst Isle of Man TT and also the high-end Automatic Wryst Racer collections. Where can I buy these leather bracelets? From today and until April 30th, 2019 you can ask for one of your two included bracelets to be swapped with a black Alcantara leather watch bracelet. All you need to do is to contact us and request this swap before placing your order and as long as we have not processed and dispatched your order. Contact us by email HERE. Offer limited to the Wryst Elements collection only. Receive exclusive monthly news, updates and special offers from Wryst Timepieces.